Hey guys! Today I've got another stamping plate for you. 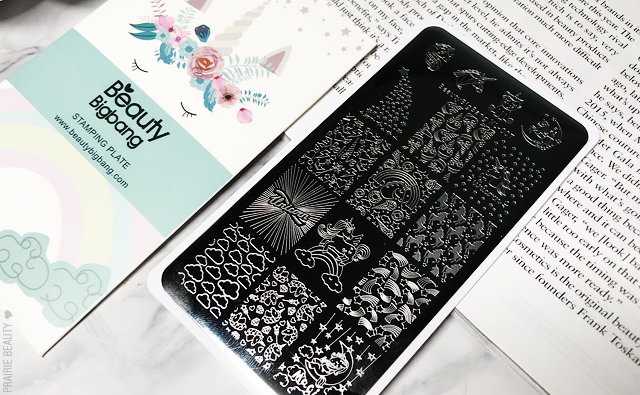 This time around it's the BeautyBigBang XL-007 Unicorn Stamping Plate*, which is filled with a wide variety of unicorn images as well as some other great images that I think will give some great variety in a lot of different nail art looks. I've actually been wanting to get my hands on a unicorn stamping plate for a while because there's something really whimsical about unicorn nail art, so I was really excited to try this out! 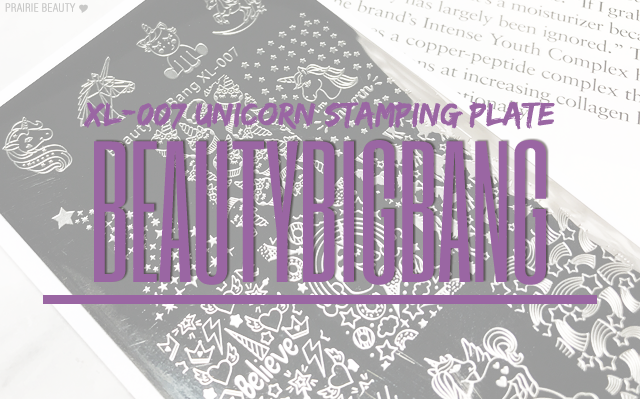 The BeautyBigBang XL-007 Stamping Plate contains 12 larger images as well as 4 smaller unicorn images in very different styles, with everything from very cutesy cartoon type images to a more sophisticated version of a unicorn nail. Personally, I am drawn to the latter, but I think a lot of younger, more playful types of people will love the more whimsical images. When it comes to the curation of this palette, I think it was really thoughtfully done. 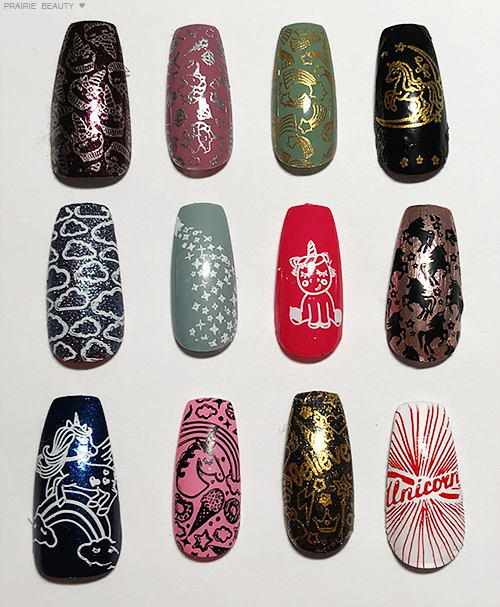 I love the inclusion of the 4 very different smaller images that are perfectly sized for use on a single nail and designed in such a way that they can be used for direct or reverse stamping. 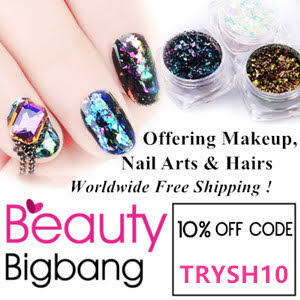 The larger images are really well varied in my opinion and work really well paired together for a varied mani or used on all 5 nails for a more uniform look. I also like that they included images like the stars, rainbows, and clouds because I feel like those can really ground a unicorn themed nail art look. As I've been testing and swatching these images I've found that they pickup and transfer really well, even when you do have images that are quite intricate and detailed. I was a little bit worried that the finer details might be difficult to pick up, but this plate is really nicely engraved for a solid pickup and I really haven't struggled with any of the images. 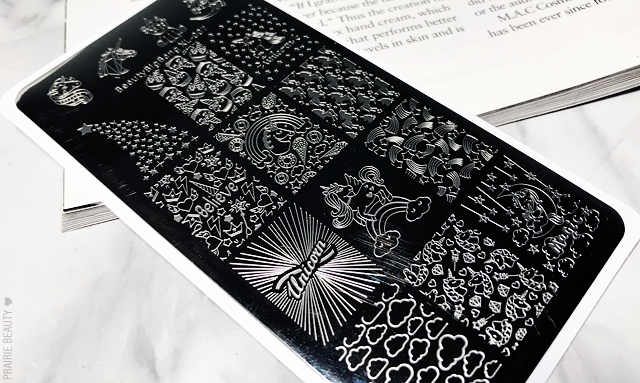 Though I haven't tried reverse stamping using this plate, I think that there are really solid images in here for that with finer detail that won't be too difficult to fill in with a dotting tool. I didn't swatch all of the images from this plate, but I wanted to get a good selection and I feel like you can really see just how varied this plate is in this photo as well as how well it picks up and transfers. Personally, it's not actually hard for me to choose favorite images from this plate, though I do have four! The three images that I used in the mani below as well as the shooting star rainbow image are definitely the ones that I personally love the most, but there are really a lot of great images in this plate and I really had incredible success while doing these swatches in getting really, really crisp images. For this mani, I started with a cotton candy purple holo base - because what could make more sense for unicorns, and paired two of the larger images and one of the smaller stamped with white stamping polish for what I think is a pretty sophisticated unicorn mani. The waterfall of stars image is great for the outer nails because it's a little bit more subtle and I paired it with the unicorn silhouettes and the geometric unicorn head. I absolutely love how this mani turned out and I actually repeated it with a deeper base and rose gold stamping polish for a more dark unicorn type of look. 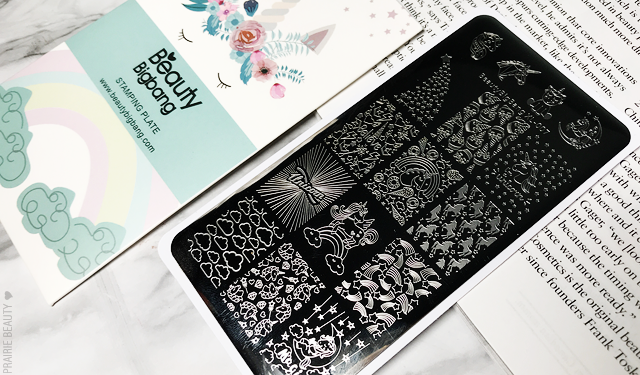 Overall, BeautyBigBang continues to impress me with their stamping plates and I think BeautyBigBang XL-007* is definitely a winner if you're looking for a really versatile unicorn stamping plate that includes a handful of great images that will work for other manis as well!